Fr. Frank Pavone is a member of Equal Rights Institute’s Board of Advisors. He is one of the most prominent pro-life leaders in the world. Originally from New York, he was ordained in 1988 by Cardinal John O’Connor, and since 1993 has served full-time in pro-life leadership with his bishop’s permission. He is the National Director of Priests for Life, the largest pro-life ministry in the Catholic Church. He is also the President of the National Pro-life Religious Council, and the National Pastoral Director of the Silent No More Awareness Campaign and of Rachel’s Vineyard, the world’s largest ministry of healing after abortion. 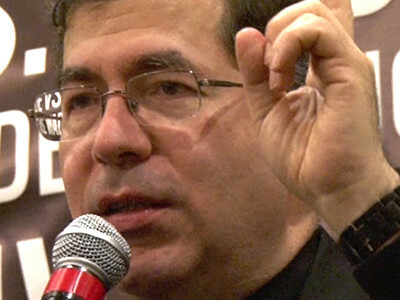 The Vatican appointed him to the Pontifical Academy for Life and to the Pontifical Council for the Family, which coordinates the pro-life activities of the Catholic Church. He was present at the bedside of Terri Schiavo as she was dying and was an outspoken advocate for her life. He was invited by members of the Class of 2009 at Notre Dame to lead an alternate commencement ceremony for those students who refused to attend the ceremony in which President Obama was honored. Fr. Frank was invited by members of Congress to preach at the prayer service they had in the Capitol just prior to the vote on health care reform. He received the “Proudly Pro-life Award” by the National Right to Life Committee, and numerous other pro-life awards and honorary doctorates.